Every now and again, Bill and I post about guns we own. As we explained, we both have the collector bug and collectors like to share their collections. 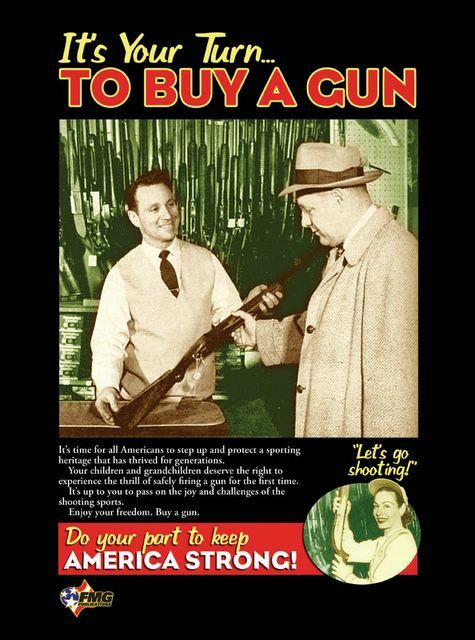 We talked about Bill's Trapdoor Springfield M1884, and my Smith & Wesson 340PD. Since I am still ill today, I thought that another "One From the Vault" might be interesting to you and fun for me. I discussed mouseguns the other day. These are small handguns that shoot low-powered rounds. Most of them are small enough to be covered with a hand. For reasons I mentioned in my other post, I like collecting and shooting mouseguns. I carry one when a more powerful handgun is not easily carried. 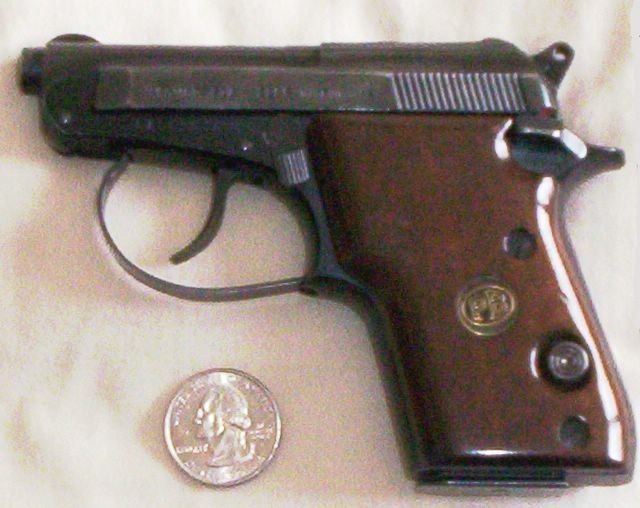 When I carry a mousegun the one I choose most often is my Beretta 21A pictured below. The gun is a semi-automatic chambered for .22LR. It holds seven round in its magazine (eight will fit, but too tightly and cause jams) with an eighth round in the popup barrel/chamber. Yep, the barrel and chamber pops up at the front for loading, unloading, and cleaning. Field stripping consists of popping up the barrel and then lifting the slide off its frame. Easy as can be. It's double-action for the first shot and then single-action for subsequent rounds. At home, I disassembled it completely and found the problem. Oil around its firing pin had turned to a thick sludge. A little solvent, a little cleaning, and then a quick check, which I made by putting my finger on the breech face and pulling the trigger. It worked and rather smarted. Surprising the amount of force behind a firing pin. It helps you understand why many rimfire guns should not be dry-fired. Once on the range again, the gun worked fine. It's very reliable and accurate for its size. Its front sight is a half-moon shaped blade about as thin as a dime. The rear sight is a notch over the hammer. When I take my time to line up its sights I can put all eight rounds into a group about as big around as a juice can at about seven yards. Beyond that, well let's just say grouping is not a factor, but it still hits in the general vicinity of my aim. I can return it very quickly to the point of aim. In double-action mode the trigger is about nine pounds with a long pull and a quick break. In single-action its pull is about 2.5 pounds. Its gentle single-action trigger pull really improves accuracy. I carry it in either a pocket holster that covers the trigger guard completely or in a belt holster with a small retention ring that slips over the hammer. It's very easy to conceal. If my pocket holster prints at all it looks like a credit card case or cell phone. My belt holster rides high on my belt making it easy to conceal. It weighs about 12 ounces when empty so weight is not an issue. I am the first to admit that a .22 is not a stopping round. It won't put an attacker on the ground fast with one shot and a few criminals may not fear it enough (nothing like looking down a .45's muzzle to remind one of one's mortality). But, it's surprisingly potent if aimed properly. One must concentrate on bullet placement if one is going to carry a mousegun and also shoot more than one shot. There are many self-defense scenarios where mouseguns are not gun enough to win. There are also plenty of times when even large hunting revolvers won't win either. My Beretta 21A is great for when I can't conceal a larger gun properly. So, that's my Beretta 21A. A gun with limitations, but one with potential as a self-defense weapon so long as you recognize those limitations and practice with it often. Today, it is sold as a Beretta Bobcat and retails for about $275.00. For that price you're getting Beretta quality in a small package. I agree with this post 100%. I was a police officer for 31 years. I have carried this as a back up weapon and during times that I couldn't comfortably carry a larger weapon. I call it my "Sunday go to meeting gun". Meaning that I may take it when I really don't think I'll need a gun, but it beats throwing rocks. With my ammo of choice CCI .22 mini-mag in 40 grain copper round nose, it is accurate and reliable. The round feeds very well and penitrates deep enough for a fatal wound. I can place all 7 rounds on target before some officers can get off their second shot with their .40 Glock. Now retired, I still can shoot this in the mid 90% level on the day & night combat course.